I'm in the process of formatting the TOPO's and data for the claim maps. I'm making them fully interactive, so check out the claim sections. Buckshot is started but I have some more changes to do. After they are done I'll put together a tutorial to use them. If you have any suggestions to improve the maps let me know. I will be adding a highlighted road layer to the overlays for each claim, so don't suggest this. All current members should now have a wepcgold.com account if they previously have provided an email address. Account details were emailed out to current members earlier in January. Try to reset your password by following the "Request new password" on the front page in the "User login" box. This will send you a temporary password using the email address we have on record for you. If you are unable to claim your account using the first technique or have never provided an email address or have changed your email address, please fill out the form "Account Reset or Claim" under "Contact" in the main menu. The "Member's Mining Location Report" form is now available to members. Included in the "Members Section" is an online form that can be submitted by members and a downloadable pdf of the original "Mail in" form. To access these forms you are required to login with your site account. I was out in the Pacific Mining District in the Chuckwalla Mountain Range out interstate 10 past Indio about 35 miles. Did some nugget shooting and dry washing in a dry river bed. I found some old bullets one is a .50 cal that's a lot of lead I brought home. I didn't find any nuggets got very little fine powder gold in the dry washer. I didn't spend as much time as I would have liked digging. Public Lands for the People President Jerry Hobbs has died. He passed away Dec. 28, after a long battle with kidney and heart disease. He was 71. Gerald Hobbs, better known as Jerry, was a legend in the mining community, and the founder of PLP, a land rights advocacy group. The membership-based, non-profit organization was established in 1990 and has been fighting to keep public lands open for multiple uses, including prospecting and mining, ever since. 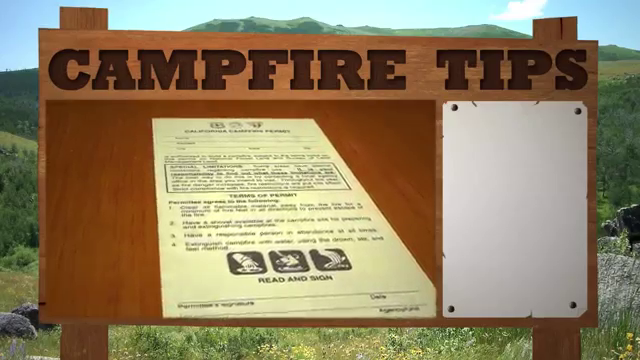 California 2014 Campfire permits have just expired. Get your 2015 permit online now by watching a short 2 minute video. Miners and their opponents squared off again in California Superior Court Dec. 12 to make their cases for and against suction dredging mining in California. The hearing was part of the ongoing Mandatory Settlement Conference that Judge Gilbert Ochoa ordered May 1 last year in an attempt to resolve the legal battle over suction dredge mining, which was banned by the state more than five years ago. Miners argue that the state has no authority to ban suction dredge mining under the federal Mining Law of 1872 and the Supremacy Clause of the U.S. Constitution, which declares that federal law is the supreme law of the land. The settlement conference is the culmination of years of litigation involving more than a half-dozen or so consolidated lawsuits that are being heard by Ochoa in San Bernardino. Ironically, a separate case, the Brandon Rinehart case has become pivotal in the decision.